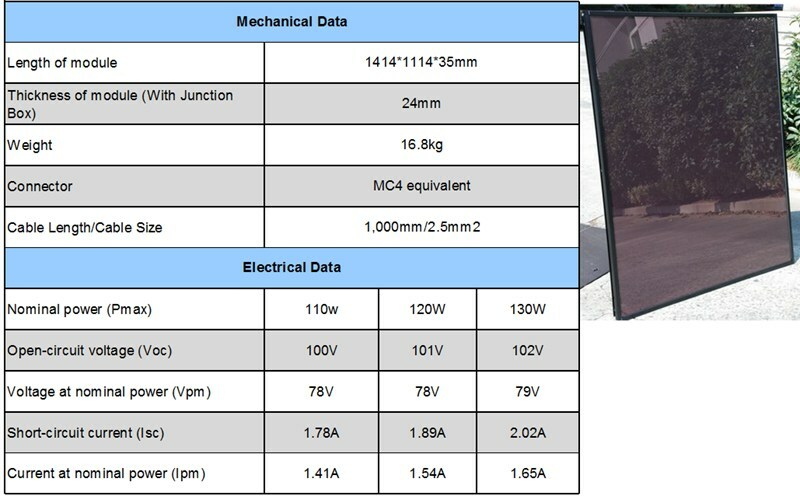 Normally, the electricity performance of photovoltaic module is measured by STC standard. 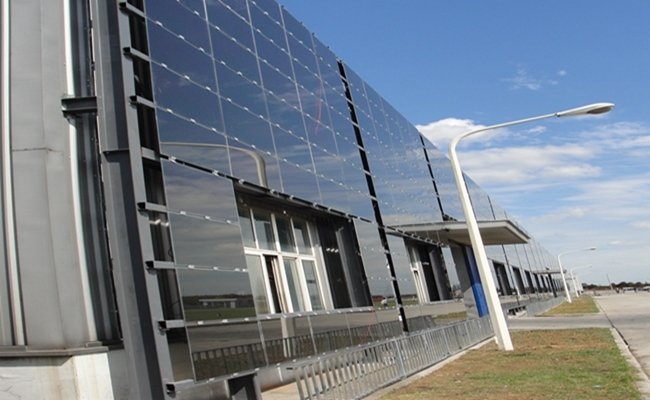 However, the temperature of solar module, operating in the sun, can be much higher than atmosphere temperature. With the temperature increase, module power will decrease accordingly. Temperature coefficient for thin film silicon solar cell is 0.2%/0c, and that of crystalline solar cell is -0.5%/0c. 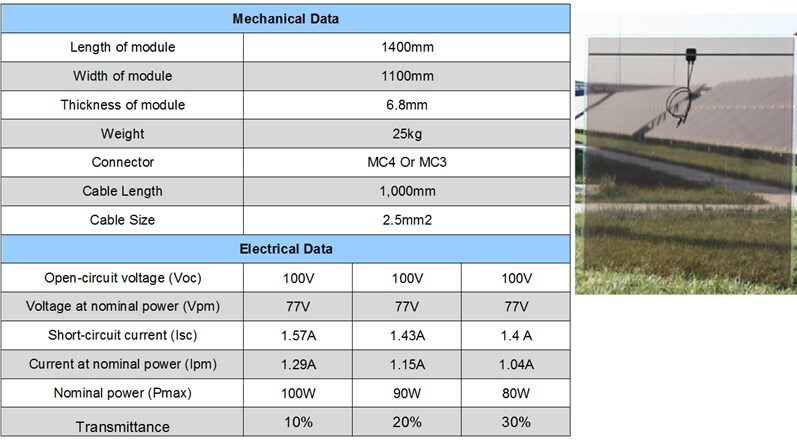 That means, when the module is worked on 500c condition, compare to the efficiency reached on 250c test standard , thin film silicon solar module will loose around 5%, and the loss for crystalline will be around 12.5%. In conclusion, even the STC efficiency of thin film silicon solar cell is low, the efficiency in actual operation condition is not far away to that of crystalline solar cell. The performance of thin film silicon solar cell is better than that of crystalline solar cell in the weak light condition. Solar power system with crystalline solar module will not generate power in the late afternoon. However, solar power system with thin film silicon solar cell still generates power. Furthermore, thin film silicon has gentle current-voltage curve. This characteristic makes it easier to pick-up the most electricity power. If you need different color of BIPV, we can offer you Red, Green, Bluer and Yellower.